No More iTunes! Manage and transfer your iOS files freely! WinX MediaTrans 6.0 was available as a giveaway on September 7, 2018! Auto rotate vertical or inverted videos during importing to fit iOS full screen. Bonus: WinX provides you a unique chance to gain Lifetime Full License at 50% off discount. Valid only for 72 hours! 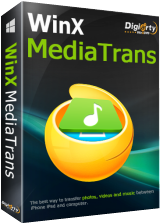 How would you improve WinX MediaTrans 6.0? 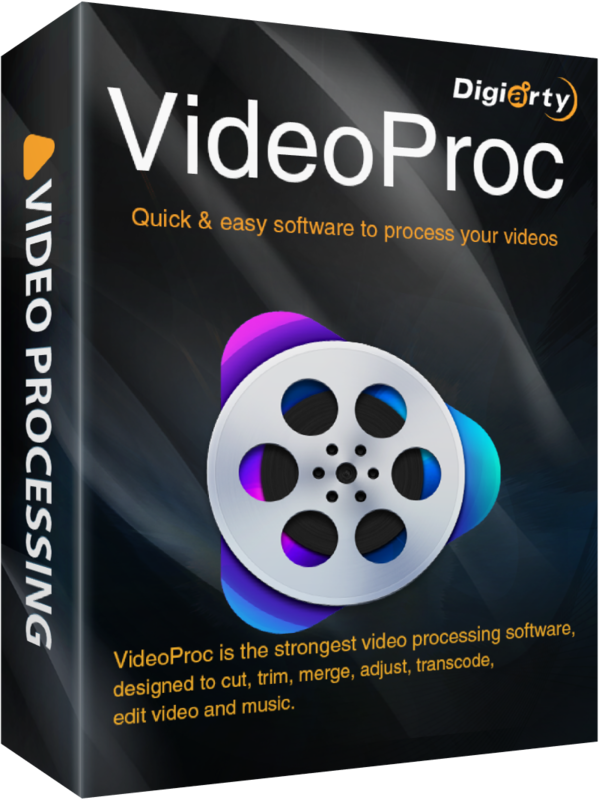 Ultimate video processing software that enables you to convert, download, resize, compress, edit, cut, trim, merge, adjust any videos. Stabilize and denoise videos from GoPro, DJI, etc. 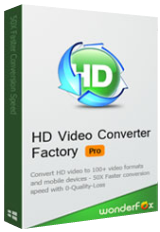 No.1 fast speed to convert 4K/HD videos with support of Full GPU Acceleration. Thanks for choosing WinX MediaTrans. It aims to provide you the easiest iOS media managing & transferring solution. Hope you like it. 3. Click "Get Code for Windows" button, you will get a file with license code. PS: if you are Mac user, please hit " For Mac Version >>" to get zip file with license code and setup file. To guarantee that you can use the full functions of V6.0, please input your valid email as Licensed Email and activate giveaway license before Jun.13, 2018. The giveaway version does not support free upgrade. In addition, if the installation fails, just re-download the setup file from Digiarty official website. The software activated by giveaway license has full functions, but does not come with free upgrade. Here WinX provides you 50% off discount on Lifetime License, which allows you to free upgrade to any future version. To guarantee that you can use the full functions of V6.0, please input your valid email as Licensed Email and activate giveaway license before Sep.13, 2018. The giveaway version does not support free upgrade. gREAT cOMPANY: i DO NOT HAVE ANY aPPLE PHONES, ETC. BUT i AM TRYING THIS BECAUSE: i FOUND (AND THEN PURCHASED) wINxpRO dvd COPIER FROM THIS COMPANY. tHEIR PRODUCT WAS great AND IT OUT DID AND WAS MORE VALUE PER DOLLAR THAT ANY OTHER SIMILAR PROGRAM! sORRY FOR THE CAPS AS KB IS STUCK. Try dancing on the [ Shift ] and [ Ctrl ] and [ Atl ] keys over and over to overwhelm and clear the keyboard toggles and buffer ( or is a pad broken and always touching under one [ Shift ] key? ). And cut and paste into any word processor and [ Change Case ] before pasting.
. [ Morgan Pierce ], Try dancing on the [ Shift ] and [ Ctrl ] and [ Atl ] keys over and over to overwhelm and clear the keyboard toggles and buffer ( or is a pad broken and always touching under one [ Shift ] key? ). And cut and paste into any word processor and [ Change Case ] before pasting. . Program didn't work for me at all. Running Windows 10, didn't see anything on my ipod touch 4, but did acknowledge it connected. Didn't acknowledge any connection at all with my Ipad Air 2 though. So thumbs down and uninstalling. Usually I love their products but can't on this one as I can't even try it. This installed without issue on Windows 10. This looks like a useful emergency backup tool as sometimes, when I connect the iPhone it does not show on Windows Explorer. This happened today but when I installed WinX MediaTrans, this application had no trouble connecting, displaying my photos and copying them to my computer. 1 When I download photos directly through Windows Explorer it displays them in pre allocated folders and gives each photo a number which run in a sequence from the first photo taken, so I can tell from the number, the order of the photos and I can easily compare duplicates. When I downloaded the photos using WinX MediaTrans 6.0 it has allocated all the photos from my camera roll in the MediaTrans folder with a completely different number. E.g. The first jpeg from a Windows Explorer transfer was 7752 but using this application the same first photo was 1921 and 2764 became 6966 etc. This makes duplicate checking more difficult. I do not know why the software allocated a new number to the photos or a way to prevent it. The .MOV files and .MP4 that I compared, do have the original numbers. 2 Under Options, the 'replace existing files' question is ticked but I cannot untick it. In addition; although you can add and delete photos, you can only do it when you create a new folder using this software and not in an existing iPhone album folder. I created a folder and added 1 photo to it, which does appear on the iPhone. The delete option was available when I selected the photo in the software. Although the ability to add folders and photos might be useful, it is limited as you cannot add to or delete from existing folders created in the iPhone. This will provide a good option for me when Windows Explorer refuses to recognise the connection so I can still back up the photos and videos, but for regular use, unless I can see a way to rectify the renaming of the photos, I will be using Windows Explorer, when it allows. This installed without issue on Windows 10. This looks like a useful emergency backup tool as sometimes, when I connect the iPhone it does not show on Windows Explorer. This happened today but when I installed WinX MediaTrans, this application had no trouble connecting, displaying my photos and copying them to my computer. I have looked at the manual on https://www.winxdvd.com/help/how-to-use-winx-mediatrans.htm?software-6.0-gotd1809#to10 but I cannot see answers to the following: 1 When I download photos directly through Windows Explorer it displays them in pre allocated folders and gives each photo a number which run in a sequence from the first photo taken, so I can tell from the number, the order of the photos and I can easily compare duplicates. When I downloaded the photos using WinX MediaTrans 6.0 it has allocated all the photos from my camera roll in the MediaTrans folder with a completely different number. E.g. The first jpeg from a Windows Explorer transfer was 7752 but using this application the same first photo was 1921 and 2764 became 6966 etc. This makes duplicate checking more difficult. I do not know why the software allocated a new number to the photos or a way to prevent it. The .MOV files and .MP4 that I compared, do have the original numbers. 2 Under Options, the 'replace existing files' question is ticked but I cannot untick it. In addition; although you can add and delete photos, you can only do it when you create a new folder using this software and not in an existing iPhone album folder. I created a folder and added 1 photo to it, which does appear on the iPhone. The delete option was available when I selected the photo in the software. Although the ability to add folders and photos might be useful, it is limited as you cannot add to or delete from existing folders created in the iPhone. This will provide a good option for me when Windows Explorer refuses to recognise the connection so I can still back up the photos and videos, but for regular use, unless I can see a way to rectify the renaming of the photos, I will be using Windows Explorer, when it allows. Mothman, it doesn't work well and functionality like "delete" and "add" videos and photos has been disabled. Further the synchronization copy each copied item (I only tested with videos) twice. It looks like you didn't test it. Tried it on my daughters computer...worked well...no need for it on mine...cause I don't have or ever want any iAnything proprietary over priced garbage...no offence..
A George, Update.- Uninstalled. Downloaded again and reinstalled, now works fine. When synchronizing the all the videos from my Apple device to my computer, I end up with 2 of each video on my computer. It is really bad, that it can't perform a simple synchronization. When synchronizing the all the videos from my Apple device to my computer, I end up with 2 of each video on my computer. It is really bad, that it can't perform a simple synchronization. Does it work with iPod? What is the minimum required ios version? Mark, It didn't work for my iPod. Not sure about the ios version. I installed the v5.0 which was offered in January, 2018. It did not work with my iPod Classic and they did not respond to my posts on the offer page. I did follow up with their customer support via e-mail. My iPod Classic was iOS 2.0.4 PC, which they told me was not supported. Therefore, I feel comfortable saying that this software will not work with iPod Classics, unless later versions of MediaTrans are being made to work with earlier iOS releases, which seems unlikely. As of 1/31/19, the MediaTrans product page & support documents do not state which iOS version the product supports. Making this information available would be useful to prospective purchasers. I installed the v5.0 which was offered in January, 2018. It did not work with my iPod Classic and they did not respond to my posts on the offer page. I did follow up with their customer support via e-mail. My iPod Classic was iOS 2.0.4 PC, which they told me was not supported. Through further research I learned that the last iOS versions for iPod Classics were 2.0.4 / 2.0.5 depending on production date. (Earlier models which had 2.0.4 were not upgradable to 2.0.5 due to internal hardware differences.) Therefore, I feel comfortable saying that this software will not work with iPod Classics, unless later versions of MediaTrans are being made to work with earlier iOS releases, which seems unlikely. As of 1/31/19, the MediaTrans product page & support documents do not state which iOS version the product supports. Making this information available would be useful to prospective purchasers. Download link I got via email does not work. download fine but cannot find registration code where?. Where is the archives? If I would read directions first, found it. Mitchell Ball, If I would read directions first, found it. I experience the same. One can't delete or add videos and photos on the Apple device. The buttons are disabled, why it is only a program for synchronizing. iTunes is a better solution for this reason. I experience the same. One can't delete or add videos and photos on the Apple device. The buttons are <b>disabled</b>, why it is only a program for synchronizing. iTunes is a better solution for this reason.
" it lets you freely manage all media files, transfer and sync them between PC and any iDevice, fully or selectively." iDevice? Even though it shows iPod under the music management section of the online tutorial, it didn't work with my iPod Classic. It recognized that it was plugged into the computer but didn't read any of the music loaded on it. I also couldn't find a way to safely eject my iPod. I tried to add a song but after 5 minutes, I gave up on it syncing. There was no way to turn the sync off. I had to use Task Manager to shut down the program. Then I had to open iTunes to safely eject my iPod. Had high hopes but I'm uninstalling. Don't have an iPad or iPhone.
" it lets you freely manage all media files, transfer and sync them between PC and any iDevice, fully or selectively." iDevice? Even though it shows iPod under the music management section of the online tutorial, it didn't work with my iPod Classic. It recognized that it was plugged into the computer but didn't read any of the music loaded on it. I also couldn't find a way to safely eject my iPod. I tried to add a song but after 5 minutes, I gave up on it syncing. There was no way to turn the sync off. I had to use Task Manager to shut down the program. Then I had to open iTunes to safely eject my iPod. Had high hopes but I'm uninstalling. Don't have an iPad or iPhone. Anita, Digiarty Software can work better on something that they thoroughly know. They were video converters, then something that was not immediately known to them. I couldn't get iTunes to work on my Windows 10 PC. WinX MediaTrans is a great alternative. It installed easily and works perfectly. Intuitive GUI. Activation code worked. I'm a happy camper! what are the simple steps to export 700 pictures from my Iphone to the software? It's only "accepting" about 200..the balance "failed"
SoCalScott what are the simple steps to export 700 pictures from my Iphone to the software? It's only "accepting" about 200..the balance "failed"
Worked for me. I don't know yet if it will replace iMazing or not. WinX MediaTrans is absolutely a super handy iPhone assistant!!! I had version 5.6 and liked very much. Now updated to 6.0. Thanks a lot! Had no trouble downloading from here; installing or adding license code to program. I was rather disappointed to learn after running the program that the drm did not include the epub books purchased from ITunes. Only audio books, videos and music. But I still thank the company and GAOD for this giveaway today. I keep getting "NSIS error. Installer integrity check has failed." Receive email link for download, when I click on it, I get:" can’t establish a connection to the server at www.giveawayofthedaycom." Castnet, take the way of Paul #5 or me #12. It's easier. Like Paul #5, I took the app from suppliers website (https://www.winxdvd.com/mediatrans/). Activated like discribed in #1. It works fine on WIN 10 home. No connection nor network problem. What a pity not for Android! Winx mediatrans is so much more easier to use than iTunes. I choose Winx mediatrans for the management of photos about 10,000 to PC. I do not use the cloud for different reasons. And not every photo need be saved to PC. Only Winx mediatrans let me choose photos selectively. Good product. I need to enable network connection for the program not my phone. I need to enable network connection for the program not my phone. How do I do this? If you are on the same computer asking us this question at GOTD, then your computer network connection is just fine. Otherwise, just remove your network device from Windows Device Manager and reboot, it will auto-reinstall with appropriate functioning.
. [ W Richards ], If you are on the same computer asking us this question at GOTD, then your computer network connection is just fine. Otherwise, just remove your network device from Windows Device Manager and reboot, it will auto-reinstall with appropriate functioning. .
"To guarantee that you can use the full functions of V6.0, please input your valid email as Licensed Email and activate giveaway license before Jun.13, 2018." The following startling information appears in Comment #1 submitted by the Digiarty Support Team: "To guarantee that you can use the full functions of V6.0, please input your valid email as Licensed Email and activate giveaway license before Jun.13, 2018." Ahh, unedited cut and paste ... make that "install before 2018-09-18", according to the downloaded license zip / readme file. Funny, but all it did for me was update my prior version, no need for a new license, as it seems to be a lifetime non-expiring license inherited from my prior installation.
. [ MadCityObserver ], Ahh, unedited cut and paste ... make that "install before 2018-09-18", according to the downloaded license zip / readme file. Funny, but all it did for me was update my prior version, no need for a new license, as it seems to be a lifetime non-expiring license inherited from my prior installation. Good! . The best training for patience is try using iTunes!!! I love music but I haven't found an easy way to manage my music collection with iTunes. Adding, deleting and snycing music songs should not be so difficult. Then I tried some iTunes alternatives like WinX MediaTrans. I have to say it is really simple and fast to sync songs, also photos and videos, etc from iPhone to PC or PC to iPhone without signing Apple ID. Adding, deleting and editing music info only need few clicks. Anyway, WinX MediaTrans is an easy-to-use and fast iTunes alternative. The best training for patience is try using iTunes!!! I love music but I haven't found an easy way to manage my music collection with iTunes. Adding, deleting and snycing music songs should not be so difficult. Then I tried some iTunes alternatives like WinX MediaTrans. I have to say it is really simple and fast to sync songs, also photos and videos, etc from iPhone to PC or PC to iPhone without signing Apple ID. Adding, deleting and editing music info only need few clicks. Anyway, WinX MediaTrans is an easy-to-use and fast iTunes alternative. Your MediaTrans is the first program that I’ve found that actually worked to help me free my purchases from DRM control. In general, I’m quite amazed and happy with your products. Thanks. Who pays for music when it's free on YouTube and the free public airwaves over the radio and free on CDs from our local library?
. [ Adeel ], Who pays for music when it's free on YouTube and the free public airwaves over the radio and free on CDs from our local library? . Peter Blaise, suppose it depends where you live. Radio is licenced in the uk via the tv licence, music broadcast can be listened to, you tube videos can be viewed and yes you can still get CD's if you're a member of a library that loans CD's. But free? these are copyrighted works and as such the licence / copyright holders take a dim view to the notion of them being free, hence court cases for piracy and ISP letters warning loss of your internet for copyright infringement. Try uploading a video with music to you tube Peter, you'll notice the agreement stipulation that you hold the rights to all music contained in the video. No, [ Grangehearts ], personal use copies ( "time shifting" ) is legal throughout the countries signing onto the WIPO Bern IP treaties, so, that's basically the free world. It's been that way forever, especially reinforced since Sony won the Betamax record-at-home for personal use case in the US Supreme court in ... 1984, of all years! Anything that can be seen or heard can be recorded for personal use, period, no possible legal limitations. The piracy of uploading and "sharing" are not personal use, you're confusing issues. Local used CD shops are another source, I've bought CDs for 50¢ from remote, rural shops, recorded them, then sold them to another shop in the city where they are worth more for $1-- effectively getting paid to make copies ... and I help donate folks old CDs, recording them first on the way to the donation center, then giving them a tax-deduction charitable receipt, they get a tax deduction, I get music, someone else gets cheap used CDs, and the charity gets funded -- win, win, win, win. You do know that WinX Media Trans makes COPIES of music, don't you? Exactly as you do yourself when you backup and migrate to a new hard drive or a new computer. Enjoy your right to enjoy your rights!
. No, [ Grangehearts ], personal use copies ( "time shifting" ) is legal throughout the countries signing onto the WIPO Bern IP treaties, so, that's basically the free world. It's been that way forever, especially reinforced since Sony won the Betamax record-at-home for personal use case in the US Supreme court in ... 1984, of all years! Anything that can be seen or heard can be recorded for personal use, period, no possible legal limitations. The piracy of uploading and "sharing" are not personal use, you're confusing issues. Local used CD shops are another source, I've bought CDs for 50¢ from remote, rural shops, recorded them, then sold them to another shop in the city where they are worth more for $1-- effectively getting paid to make copies ... and I help donate folks old CDs, recording them first on the way to the donation center, then giving them a tax-deduction charitable receipt, they get a tax deduction, I get music, someone else gets cheap used CDs, and the charity gets funded -- win, win, win, win. You do know that WinX Media Trans makes COPIES of music, don't you? Exactly as you do yourself when you backup and migrate to a new hard drive or a new computer. It's all good. Enjoy your right to enjoy your rights! . No, [ Grangehearts ], you're confusing the "piracy" of uploading and "sharing", which are NOT personal use, and NOT what Winx Media Trans does. Personal use copies ( "time shifting" ) is legal throughout the countries signing onto the WIPO Bern IP treaties, so, that's basically the free world ... it's been that way forever, especially reinforced since Sony won the Betamax record-at-home for personal use case in the US Supreme court in ... 1984, of all years ... so, anything that can be seen or heard can be recorded for personal use, period, no possible legal limitations. WinX Media Trans makes COPIES of music, exactly as we all do ourselves when we backup and migrate to a new hard drive or a new computer.
. No, [ Grangehearts ], you're confusing the "piracy" of uploading and "sharing", which are NOT personal use, and NOT what Winx Media Trans does. Personal use copies ( "time shifting" ) is legal throughout the countries signing onto the WIPO Bern IP treaties, so, that's basically the free world ... it's been that way forever, especially reinforced since Sony won the Betamax record-at-home for personal use case in the US Supreme court in ... 1984, of all years ... so, anything that can be seen or heard can be recorded for personal use, period, no possible legal limitations. WinX Media Trans makes COPIES of music, exactly as we all do ourselves when we backup and migrate to a new hard drive or a new computer. It's all good. .
Peter Blaise, Copyright exists on the original material, personal use is fine if you have the original material. If you buy your used CD no problem, converting it to another medium, technically breach of copyright, but fair use provision is what companies allow. Selling the CD though negates the fair use provision and means you have an Illegal copy of the CD, and as such the copy you have should be destroyed. Think of it like your Office 2010 disc installed on your pc, then you get 2016 and sell the 2010 disc. You held the licenced (copyright) product, you sell the medium who has the licence? ... which are unrelated to "personal use time shifting", which can be done without purchase of any copyright original material.
. [ grangehearts ], You are confusing -- publishing -- fair use -- licensing ... which are unrelated to "personal use time shifting", which can be done without purchase of any copyright original material. . Installed with no problems Win10. 2 step process to get license code. Installed with no problems Win10. 2 step process to get license code. How do I enable Network Connection? Winx Media Trans 6.0 report "Device Not Connected"
Try different cables, different USB sockets, and different computers ( and download Microsoft's free USB Fix-It digicab to eliminate high and low filters on your USB drivers -- https://support.microsoft.com/en-us/help/17614/automatically-diagnose-and-fix-windows-usb-problems ).